● Duration of journey: 21 days, 20 nights. ● Total drive distance: about 950 km with flights connecting Bariloche and Calafate, from Calafate to Ushuaia, from Ushuaia to Buenos Aires. ● Best months to travel: September to April. 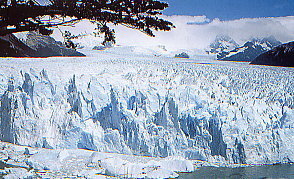 ● Description: This trip through Patagonia, on a plane for the longer stretches, otherwise in a rental vehicle for local places, will offer the most demanding of travellers the possibility on the one hand, to intensely experience the yet mostly undisturbed wilderness of this land strip and, on the other hand will allow them to count on the utmost comfort and first-rate service. Thus each day allows for a new experience, be it with overnight stays on the exclusive and isolated estancias (farms) on the Patagonian steppe, or in carefully selected hotels. You will travel through breathtaking landscapes, spend two days in the beautiful Nahuel Huapí lake region, visit the legendary Perito Moreno Glacier, hiking through the surroundings of the Fitz Roy and the Cerro Torre, which belong to the most difficult mountain peaks according to the mountain climbers elite, the incredible Paine massive in Chile and lastly, will reach the southernmost city on Earth, Ushuaia, on the Beagle Canal.